Art exploitation: Are desperate artistes to blame? Many times we have heard stories of video vixens doing work for free or getting paid a meagre 5k for their services and even when noise is made, some of the victims are happy because they get ‘famous’. But could the problem be beyond the artiste because they too somehow get exploited? Andrew Kaggwa digs around on the issue of exploitation in the music industry. The artiste in this case will feel honoured, considering the fact that the person on the other side of the line had earlier introduced themselves as a brand ambassador of a reputable brand. A group of artistes at the National Theatre easily share such conversations as they reminisce times people have tried to take/taken advantage of their craft. Be them singers, poets, dancers, comedians or even photographers, it seems that the trend of people trying to get their services for free is one each of them has gone through at one point in their career. The issue surrounding art and exploitation started making news in East Africa in mid-February when an email involving Kenyan boy band Sauti Sol leaked. In the email, the group was looking for models to appear in a dance video they were about to shoot, but they noted that there was no budget for the models but rather food, transport refund and exposure. Much as on their social media platforms, Sauti Sol seemed to clear the air and later terminate the contract with the yet-to-be named or even shamed production house, very few were willing to buy the idea that they knew nothing about their plan to exploit models. In Uganda, exploitation in music is common and has since been almost normalised. From the days when Bebe Cool and Chameleone were starting out, it was common in their conversations that there were times they performed for beer and food. But could you blame them? The hustle then was real. In the early 2000s Uganda had less than 10 FM stations, about five newspapers and fewer TV stations, so any concert that had an audience and journalists present, was to kill for. The likes of Chameleone would do anything to be seen on a stage Elly Wamala was yet to grace, even when all they were doing there was antic. Today though, things have changed, artistes in different disciplines do not even need media endorsement to make it — with all social media platforms, acts simply plunge into our space unapologetically. Yet for some reason, exploitation of artistes may be at its peak. But of course this never happens and for the next gig they will look for another unsuspecting striving artiste and sell the same platform… the cycle continues year in, year out. A radio presenter who requests anonymity says artistes are hungry for fame and thus have themselves to blame for being exploited. 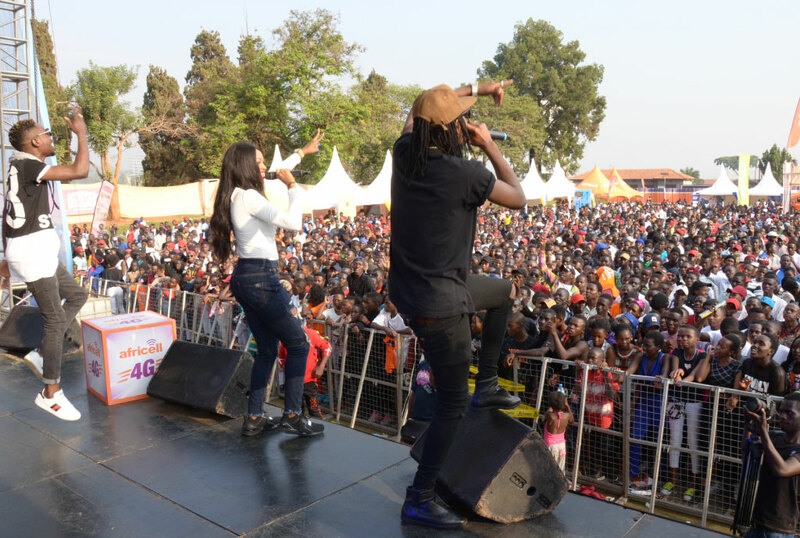 “These people have low ambitions, they strive to be as famous as Bebe Cool, Chameleone or Sheebah, not knowing that they are selling themselves short,” he says. He adds that many artistes in Uganda lack focus, they do not know that fame, besides grooming their egos, will not add a thing. “Take an example of the late Radio. He had all the fame in Uganda but for the days he was laying in hospital unconscious, it became clear that the fame had not accumulated enough to foot his bill and wellwishers had to come in,” he says, adding that artistes that are exploited need to know whether they simply want to be known, gig daily for a few shillings or live meaningful livelihoods. Herman Kabubi, the programmes director of Bayimba Cultural Foundation, says as an artiste, it is not progress for one to perform at all events around town but it would be progress if you performed at relevant shows. “Fame or a local following without relevant shows for any serious artiste is useless,” he says. He adds that the search for fame is the reason piracy has persisted since artistes give their music out and perform for free with the hope of becoming famous. According to many of the artistes we talked to, exploitation is common with corporate companies, especially reputable brands although the radio presenter disagrees, saying most of the exploitation comes from the people artistes surround themselves with. 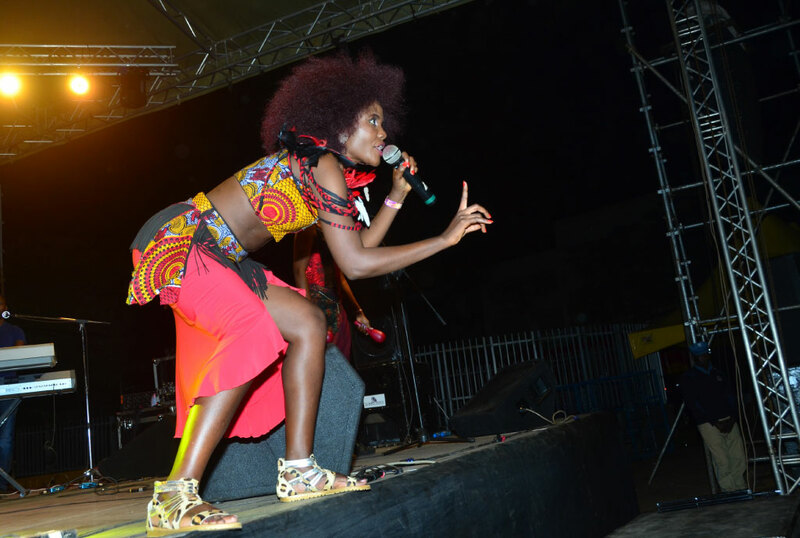 “The groupies surrounding artistes exploit the artistes’ image. I have heard some of them even sleep with naive girls with a promise of helping them appear in so and so’s video,” he says. He adds that many managers in this country are only exploiting their artistes instead of building them. Different companies, some of which did not want to be quoted noted that most of the times they deal with artiste managers when booking for performances. “The issue is that some artistes do not have a professional working relationship with their managers that at times money fails to get to the artiste who will in turn blame the company,” says one of the officials, adding that there are times artistes take little pay gleefully and later cause commotion after learning someone else pocketed twice what they got. UBL Brand Manager Francis Kirabira says for efficiency, they deal with reputable promoters when booking artistes, though noted that they try to have a system that ensures artistes receive their money. None of the companies talked to admitted to working with an artiste for free knowingly, but all concurred that payment differs according to one’s demand or technique. For instance, pop artistes whose songs dominate airwaves will ask for more than Shs1m to perform on a CD playback while less known artistes may even take Shs500,000 for an acoustic set. However, even when many claim to have been exploited by companies promising a platform, some sections of the industry believe they may not all be bad, especially if an artiste knows what they want careerwise. Dorothy Nabunjo of Karizm Business and manager to visual artist Xenson and inspirational artiste Sandra Suubi, says there is need to evaluate the said ‘platform’ and the opportunity it presents. He notes that it would make sense if an artiste first tried to understand the audience of the event they have been called to perform at and if their art will thrive on the platform. He, however, adds that this can only happen if one has sober management and leadership good enough to assess who will be in the audience. For instance, if an artiste is booked for Bayimba, instead of the manager being on stage recording the performance with a phone, they should be in the audience looking for ways of getting that artiste to Sauti Za Busara, Doadoa or Bush Fire. “The best time a manager has to market the artiste is when they are on stage,” he says. Nabunjo testifies to having been asked to have her artiste programmed for a show they were not getting paid for but needed the attention of some people in the audience: “We achieved what we went for,” she says. Elijah Kitaka of Fezah, an artiste booking platform, says: “At Fezah we cannot accept our artistes to perform for platform or just food,” although he notes that when an organiser approaches them with a story about them lacking a budget but indeed has a great platform, they will find ways of working with them but at least ask them to facilitate the artiste’s performance. Facilitating a performance may include things such as booking a rehearsal studio, transport, feeding and wardrobe. This way there is some value attached to the craft.